Showering shouldn’t be a dull thing you do every day. 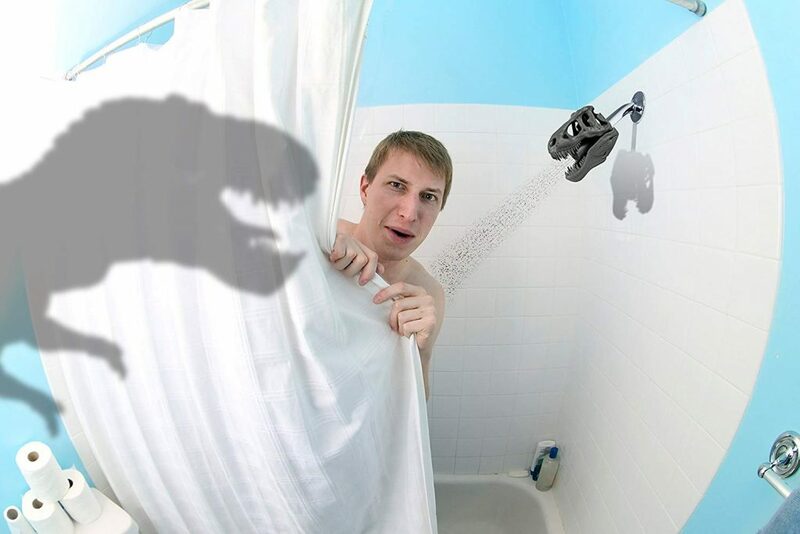 This T-Rex shower head (the Wash ‘n Roar by Barbuzzo) will make shower time more fun for your kids or yourself. It’s a great gift to liven up the bathroom for any dino lover. This jurassic shower head is made of durable plastic and attaches easily to any U.S. standard shower head with the help of a wrench and some teflon tape. It fits both fixed and handheld heads. Once in place, this T-rex will spray from the 9 jets in its mouth following water saver standards. 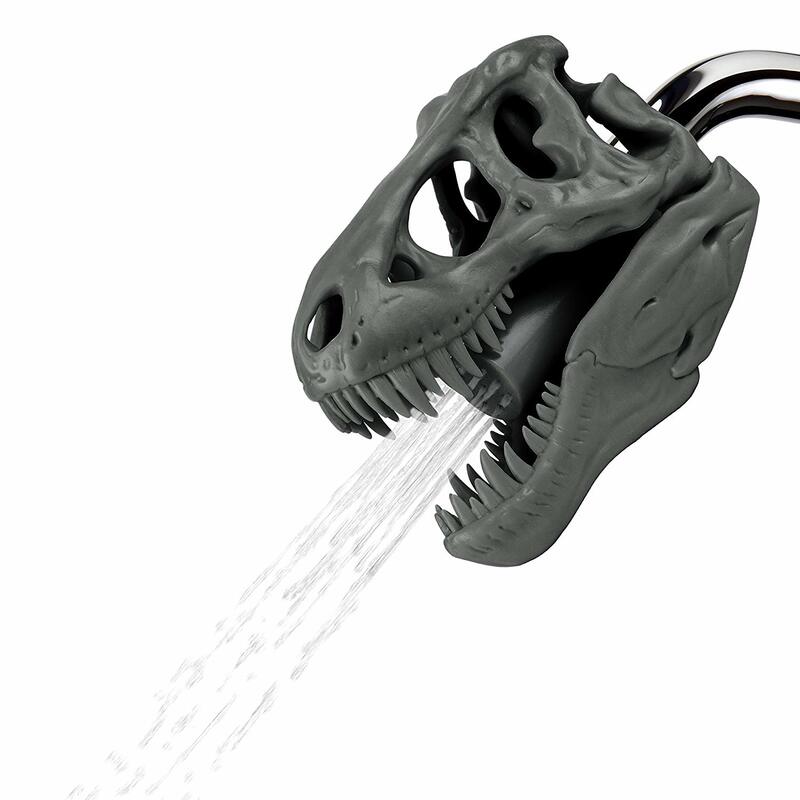 Get the T-Rex shower head in grey or lime green (in case it doesn’t stand out enough yet).